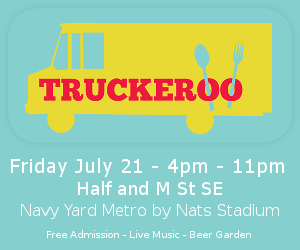 The list of DC food trucks serving during the July 21 Truckeroo has been announced! Truckeroo is DC’s food truck festival held during the warmer months of the year. The even space is located at Half St and M St SE, across from the Navy Yard / Ballpark metro entrance. Reminder: the hours for the 2017 Truckeroo season are 4pm-11pm!